HTC,one of the struggling smartphone maker from Taiwan has launched a new smartphone called HTC Exodus 1.This is first blockchain smartphone HTC.The HTC Exodus 1 houses Zion cryptocurrency wallet designed by HTC.The Block chain smartphone technologyis a technology design designed by Soft Bank Arm Holdings in which some space in processor apart from Android OS is used to cryptocurrency store safely. HTC Exodus 1 key specifications is it's Block chain features.It can store cryptocurrencies safely.Other specifications includes 6 inch QHD+ display with 2880×1440 pixel resolution at 19:9 aspect ratio.The handset is powered with Snapdragon 845 processor and Aarenkilum 630 with 6GB LPDDR4 RAM and 128GB 2.1UFS storage. 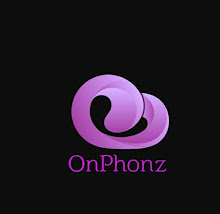 When it comes to camera,it is equipped with 12MP+16MP dual camera and dual 8MP shooter at its front.Its rear camera is capable to shoot videos with 4K resolution and also has sonic zoom features. HTC Exodus 1 runs on Android 8 Oreo and Zion cryptocurrency walled.Its hardware is fueled with 3500 mah fast charging battery.The handset is IP68 certified for dust and water resistance.It has connectivity options like 4G LTE,GPS/GLONNAS,Wifi 802.11 a/b/g/n/ac,Wifi hotspot,Bluetooth and 3.5 mm audio jack. 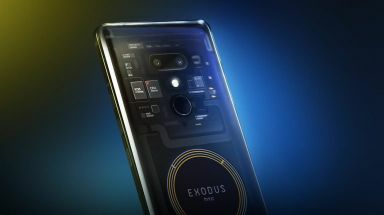 As HTC Exodus 1 is a Block Chain smartphone it will not be available to buy in cash modes.It can buy only with cryptocurrencies like Bitcoin and Etherum.However,HTC Exodus cost around .15 Bitcoin or 4 78 Etherum which is around $ 960.The device is already started it's pre order and will be available in 34 countries including US and UK by December 2018.